A medical doctor by profession, Dr Anna Mokgokong set off in 1995 to start what has today become one of South Africa’s biggest business success stories. 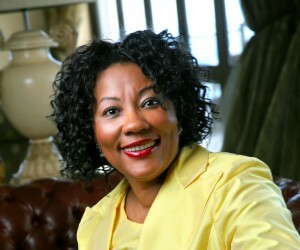 Abusinesswoman who has received international acclaim for her entrepreneurial ability – co-owner of Community Investment Holdings (and South Africa’s Business Woman of the Year in 1999), Dr Anna Mokgokong kick-started her career after establishing a private practice in 1992, which she grew from scratch to a patient base of more than 40 000 people as a community doctor, serving eight villages. Her list of accolades is as long as her list of executive portfolios and directorships she holds at some of South Africa’s biggest and most esteemed organisations and corporations. 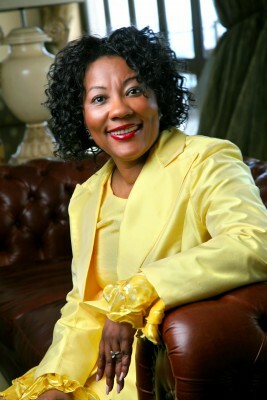 Today, worth an estimated R107 million, Dr Mokgokong is one of the top ten wealthiest black South African entrepreneurs and her multibillion-rand company (Community Investment Holdings), which she jointly owns with business partner Joe Madungandaba, is one of the most successful companies of its kind in the country. Dr Mokgokong, who was born in Soweto and raised in Swaziland, spoke to BBQ about her journey in business, the highs and lows, passion, tenacity, governance, lessons learnt and staying relevant in a fairly young democracy.Initially launched as Malesela Holdings in 1995 at the dawn of South Africa’s democracy, the business had a clear mission to participate in the mainstream economy. Dr Mokgokong says the late former president Nelson Mandela and other post-apartheid leaders set a strong foundation for South Africans to prosper after apartheid. “His positioning was always that of reconciliation, and even with his firm approach to financial services institutions, negotiations were based on how they would remedy the ills of apartheid which they had benefited from, to uplift black people, through the funding of black-owned businesses and the transformation of their companies. His approach was aimed at ensuring that funds were created and channelled towards enabling black people to participate in the mainstream economy, which then helped provide opportunities in a number of sectors such as mining, energy, healthcare etc. – that’s how black-owned companies were founded. “When the markets crashed during the 1999 recession, the shares went under the water, and we could not service the loans, hence we then proposed to the institutions to take over the shares. Worst of all came the Macmed debacle as we had landed with a bankrupt hospital group. The only entities that were not affected were the unlisted ones, such as Malesela Logistics, which has a significant stake in Crossroads Holding – it’s an entity we still hold even today. In 2000 they rebranded the company Community Investment Holdings and gave it a new lease on life. “Every experience is a learning curve, so as we launched CI Holdings we also drew key learnings from the mistakes that we had made with Malesela Holdings. We realised that although challenges come all the time, they are not insurmountable,” she says. “Starting again was a painful exercise, but we had to eat humble pie if we were going to achieve the vision. There was a time when I used to dread the 15th of every month, because then the countdown to the 25th would start, which meant paying salaries, suppliers, administration etc. At some point, I had to sell my car to cover business costs, and once you are done with the one month, the next month always seems to come just as quickly. “So the birthing of CI Holdings gave us a new start, and a new chapter for us to do things right. We have become ‘governance obsessive’, we pay attention to detail right down to insisting on financials, we have mastered the corporate discipline of getting legal advice and understanding the legal implications, we’ve learnt to negotiate more sternly and read between the lines to tell the legitimate business people from the illegitimate ones,” she told BBQ. “We’ve managed to stay relevant by expanding the business in line with market needs. Our view has always been that in any nation, there will always be sick people and so healthcare has been one of our biggest focus (and growth) areas. “There will also always be a need for energy, and for this reason, energy and mining resources form a key part of our business. These areas have contributed towards enabling the growth of the business. “With today’s entrepreneurs there is this mindset that by getting a few tenders one will get rich, there’s the mindset that there is a shortcut to building a business. There are definitely much smarter ways of building a business, but no shorter ways.”Dr Mokgokong says today’s young people don’t have to work as hard as they did to build sustainable businesses. “Through technology and innovative mechanisms of doing work, entrepreneurs can work smarter. They have to be strategic in their approach towards business and not take a short-term view on entrepreneurship. Go through the system, get an education, learn the skills and acquire knowledge, as education provides the foundation. Calling a spade a spade, Dr Mokgokong says Black Economic Empowerment (BEE) has been misconstrued as a practice that enables the politically connected to flourish. “BEE was designed to redress past imbalances as well as serve as a realistic growth strategy to realise the country’s full economic potential, transform the economy and improve the livelihood of black people in South Africa by providing them with equal opportunities to prosper. “Nothing is given on a silver platter; you have to hunt for those opportunities. When it comes to BEE, people talk about the usual suspects “getting deals, but these are day-to-day ‘hunters’, the go-getters. I spend time thinking about how to hunt for the next day, and I do it day after day. Our leaders set out to provide equal opportunities for black people by getting financial institutions to fund business ideas and businesses that were set up by black people, not just the politically connected — all black people. That was the vision,” she says. The policy took a view on women, people with disabilities, and a number of other factors to enable an environment that would ensure the equitable distribution of wealth. “BEE was intended to go beyond job procurement, focusing on training, further education, the creation of specialist skills, mentorship, bringing up small companies and enabling growth across the board to enable the black people equal opportunities to prosper. “This goes to show that there are opportunities, especially for women, in this country. Women, in particular, raise your hands to be seen and be counted, get your name out there, get your business out there, and grow.“ The full objectives of BEE have not been met in the 20 years of our democracy. We also need to recognise that it will take a little longer to be able to fully redress the imbalances of the past 300 years. Let us be patient and work aggressively at it. “We have taken giant leaps in changing the mindsets of the reluctant corporates and multinationals; they too have undergone great transformation of their minds, and now that there’s a positive outlook from both corporates and government, we can really begin to leverage off public-private partnerships to fast-track transformation and empowerment. As a country, we need to focus on how we can make participants of our economy representative of our demographics and leverage off corporates to transform and to represent our demographics,” she concludes.